Ultra-Grip is not a new comic book superhero but don’t underestimate its ability to save. 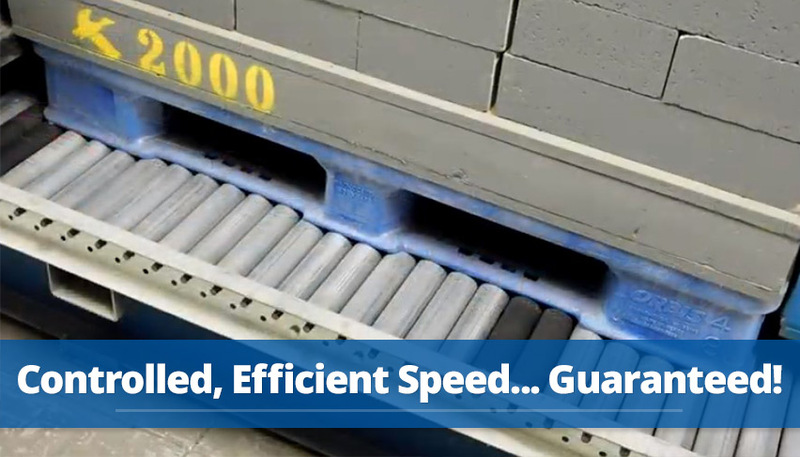 Ultra-Grip Rollers are designed to provide additonal grip and surface coverage for enhanced pallet tracking and control in full roller pallet flow systems. Ultra-Grip rollers work in conjunction with indirect mount speed controllers… where rubber meets rubber… to most effectively slow the rollers and thus the pallet. 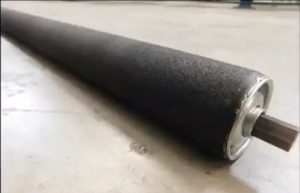 Plastic pallets, which have varying and unique surface designs, make better contact with the rubber coating of the Ultra-Grip Roller vs. standard galvanized rollers for superior flow and tracking. The Ultra-Grip/indirect mount speed controller pairing also is effective on non-standard GMA-style pallets with limited surface area on the bottom. Ultra-Grip Rollers are tested in the Mallard Engineering Testing Lab on a full roller pallet flow system. The engineers tested different plastic and wood pallets with varying inventory weights from 500# to 2000#. It’s important to have the Mallard engineers test your system design before purchase to ensure that it is configured most effectively for your unique inventory and pallets. Contact the Mallard team to schedule your system test.